Marketing is the pulse of an organization. From the CMO to the marketing manager, everything is done for the brand. Decisions and actions born in this department influence people’s perception of the entire company and impact the bottom line. As technology has evolved, so has marketing’s role. The budget that used to belong to the VP of Sales has transferred to the VP of Marketing. Ownership over sales-driven initiatives now rests on the marketer’s full plate. Organizations succeeding at RFP response have a great process backed by technology and teamwork. With RFPs, marketing is like the border of a puzzle, corralling the many pieces and holding them together until the puzzle is beautifully finished. That’s a tall order when it comes to RFP responses, being that a winning submission equates to revenue. If anyone can handle that responsibility, it’s marketing. They not only have the gumption, they also embrace technology to navigate complexities like the RFP response process. Since it takes an army to complete a single submission, RFP software is the weapon of choice for today’s high-performing marketing departments. Let’s dive into the inner workings of a great RFP response process, where marketing teams fit in—and how you, as a marketer, can bolster your valiant efforts with beneficial technology like RFP software to feel more empowered in your role. Today’s marketing department is responsible for much more than the brand—they are responsible for the business. CMOs own the budget and technology, and they are often the decision-makers buying solutions to improve the welfare of their organization. With RFP response, marketing is deeply involved beyond the buff and polish of the deliverable. In many ways, they own the process. Once upon a time marketing was considered a cost center. Over the last decade, things changed dramatically. Mature organizations are run by aligned marketing and sales teams focused on one goal: revenue generation. More and more, marketing owns a greater portion of opportunity creation. A shift in budget occurs to generate new business, and suddenly the head of marketing (not sales) has the dollars and the decision power. “Martech spending accounts for 22% of the marketing budget and almost one-quarter of CMOs (23%) now have fixed annual innovation budgets,” according to the 2017-2018 Gartner CMO Spend Survey. 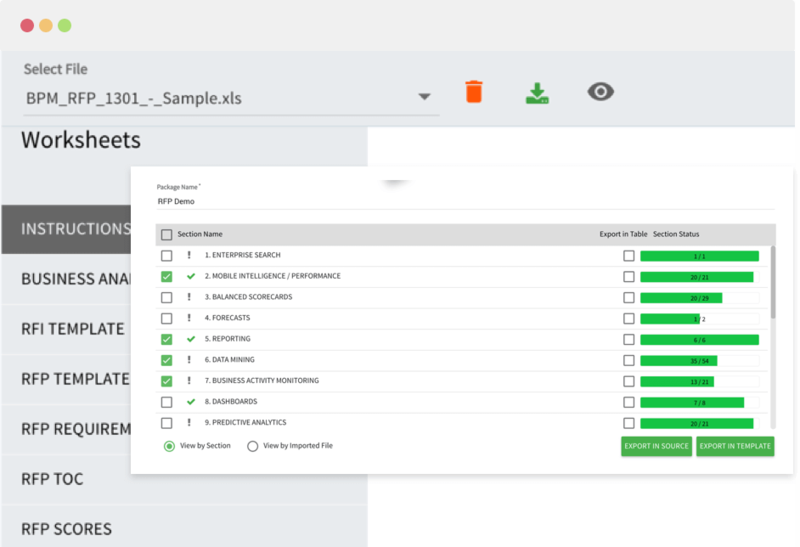 Among the thousands of martech solutions—alongside CRMs, marketing automation, and project management platforms—is RFP software. Budgets are invested into these solutions to help the organization keep a steady, growing stream of revenue. When RFPs are executed well, it pays off. But to be effective, a manual approach can’t compete with the benefits of RFP software. Technology alone is not the easy button that will solve every organization’s problems. When RFP software is paired with a great process, that’s a different story. Like most processes, RFP response involves a fine orchestration of stakeholders across the organization. Proposal managers, SMEs (Subject Matter Experts), and sales and marketing teams are often the key players. Proposal writers and executives also come in for creation and strategy, review and approval. 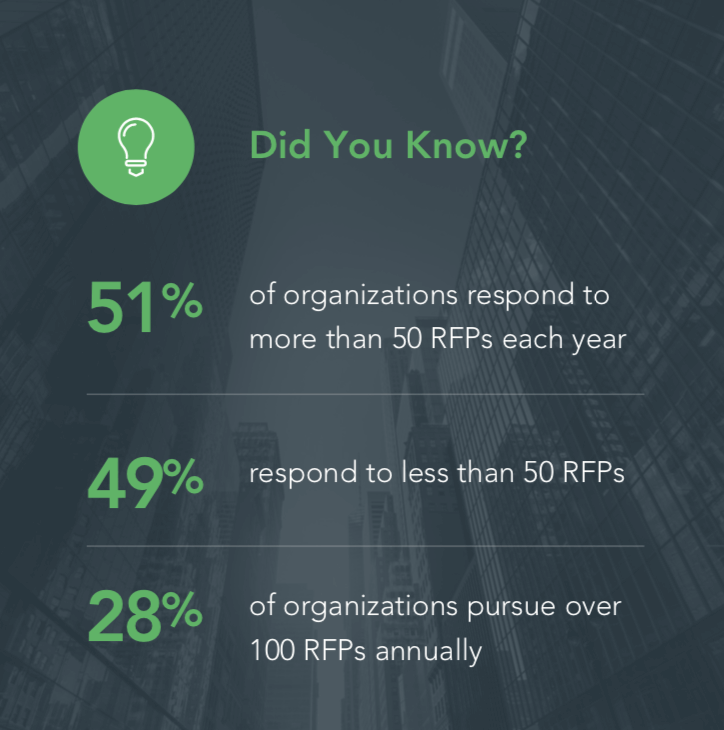 However, many organizations do not create a process for RFPs even though they have a standardized one-sheet for nearly everything else. And, only 16% of teams are leveraging RFP software to improve their process. As the gatekeepers of budget and technology, you as the marketer have a choice to make with your RFP response strategy…How can you make it stronger? The answer lies in RFP software solutions like RFPIO, which prove ROI through increased efficiency and productivity that allows teams to focus on the next big deal. Companies on a growth trajectory understand responding to RFPs is a necessary step in propelling their vision forward. To reach revenue objectives, they must rise together as a team. RFP responses require expertise from various groups inside an organization, be it: IT, product management, customer success, sales—and, of course—marketing. These contributors might sit in the same office, or they might live on different continents. To submit RFPs consistently and brilliantly, organizational shifts occurred to broaden marketing’s involvement. Being natural contributors, marketing does much more than respond to the occasional section of an RFP. They step in early on to help guide the submission process and see the final deliverable through. As a result, top teams who collaborate are happier. Marketing teams using a manual approach frequently struggle to keep up with the many moving parts of RFP responses. Those teams depending on emails or meetings to work on RFP responses together experience unnecessary frustrations. Emails get missed, and meetings cost time. Since communication is truly the backbone of a sound RFP strategy, it needs to be easy and consistent. 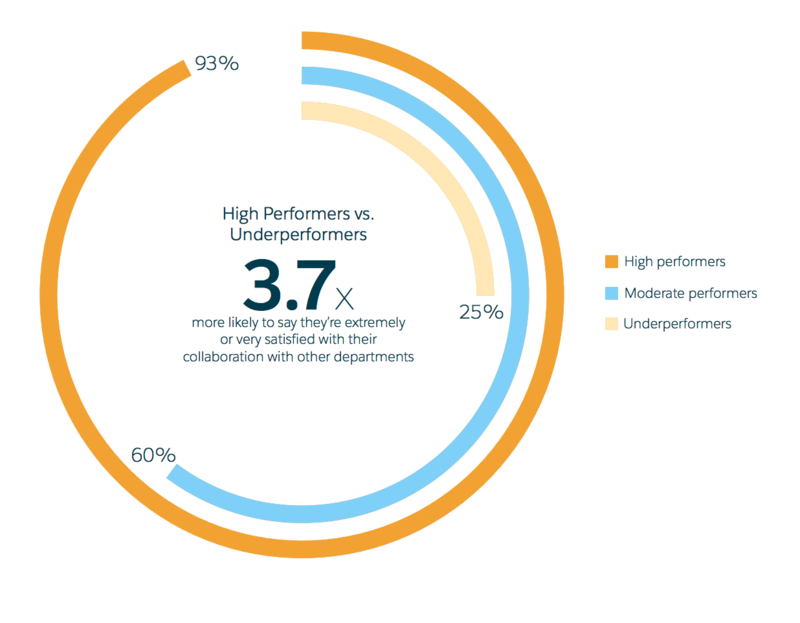 It’s understandable why 83% of professionals depend on technology to collaborate. As a marketer, you’re busy enough as it is. Being a key contributor in the RFP process adds another layer—a crucial, time-sensitive layer. 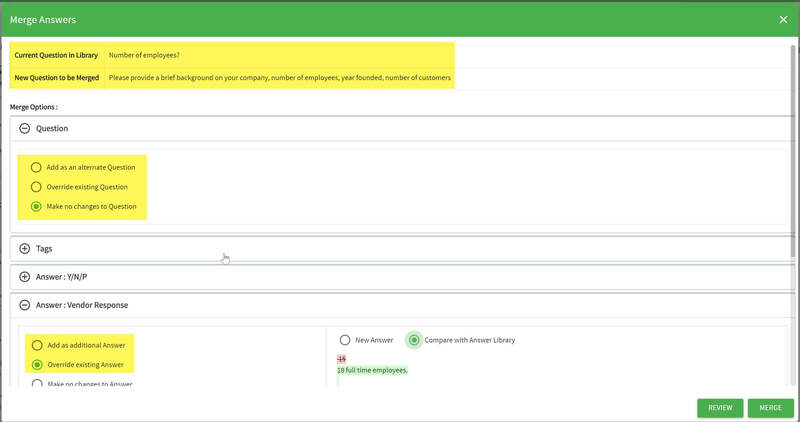 RFPIO integrates with Salesforce and Slack to make communication simple for teams across different stages of the RFP process, no matter where they are. Having all communication tracked to specific RFP projects also means you have a helpful history to reference. When you need input from sales, you can use their preferred tool, the CRM, to flag them down. Rather than cluttering an SMEs already crowded inbox for clarification, ping them quickly on a dedicated Slack channel. 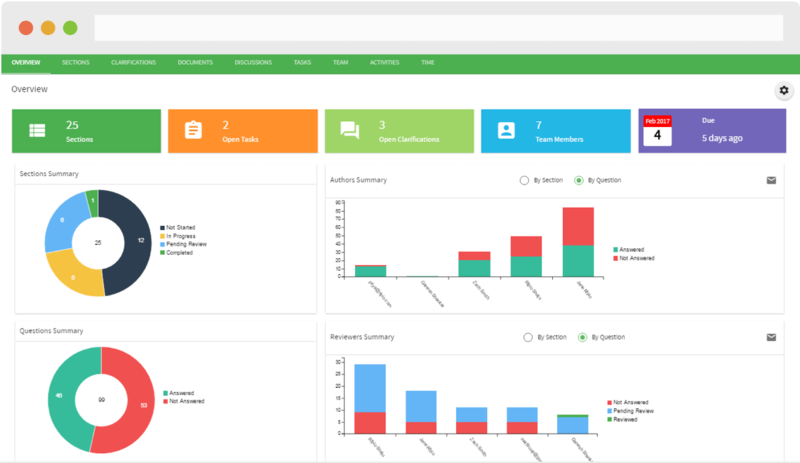 The project overview dashboard gives you the status at a glance, so you know exactly where everything stands. Your team members are busy, and like you, they have plenty of priorities outside RFP responses.The last thing they want is another meeting on their calendars, multiple follow-ups, or a surprise desk visit the day before the RFP deadline. Email as a tool for simple communication serves its purpose with business as usual, but it doesn’t serve marketing teams responding to RFPs. The clearest communication will happen in a solution that is built for the big goals your team is trying to accomplish. As with any business pursuit, competition can be intense—when you’re submitting an RFP, you can bet you’re not the only runner in the race. Outshining your competitors is possible with a quality submission. It’s marketing’s duty to ensure that level of quality. This is your moment. Your control over budget and technology can dramatically increase your chances of success. Review RFPs – A sequential review process and clear workflow allow you to give your stamp of approval, without the stress factor. Audit Content – Automatic reminders encourage you to maintain your answer library consistently to keep the best responses queued up. Finalize Deliverables – Customized templates empower you to quickly align the look and feel of your brand for a powerful deliverable. The goal with every RFP is to make your organization stand out as the obvious choice, the solution and partner. Boilerplate content may seem like a quick fix when an RFP is due on a Friday afternoon, but it won’t win your prospects over. From the executive summary to key differentiators, everything should be carefully constructed and customized to serve your prospect’s needs. Quality can mean the difference between beating your competitors or losing to them. RFP software gives you the gift of time, so you can work over the responses for readability, brand alignment, and engagement—and still submit before the deadline—to increase your chances of winning new business. RFP management could be called “content management,” something you are very familiar with as a marketer. Improving internal processes continually is a smart practice for any response team. That starts with marketing using their content proficiency to finesse RFP content management efforts. Good RFP content management means having the best version of responses on-hand to accelerate the success of your RFP. Responses are carefully groomed, so the content is compelling and fresh. Content is also organized and centralized to help team members respond to an RFP or RFI quickly and accurately. To meet a vendor’s request, multiple team members respond to their sections of the RFP. Then, it’s up to marketing to make those responses engaging without sacrificing the technical points. The review process is a critical step in the RFP response process. After all, the new business you’re pursuing greatly depends on the end-product you deliver. 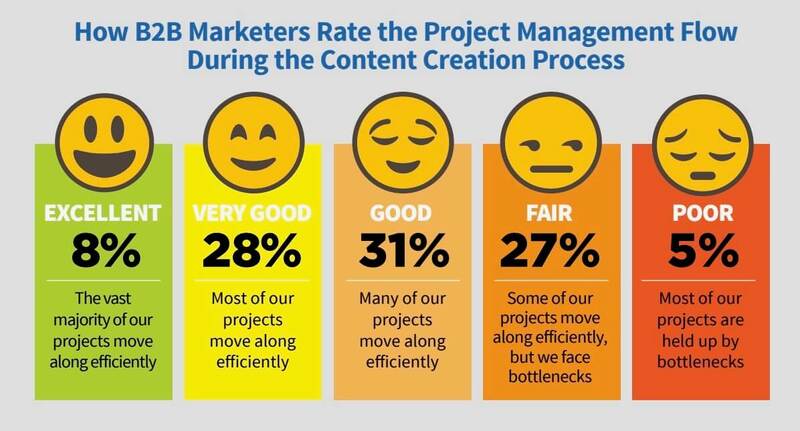 Too many cooks in the kitchen is a common pain point for most marketers with content. That’s amplified when you’re working with multiple contributors on an RFP (often not writing enthusiasts who are rushing through responses). RFPIO allows the proposal manager to assign reviewers in the optimal order to finish the response thoughtfully and on time. Marketing has clarity about when they come in to work their magic, and executives are clear about when it’s time for final approval. Complete access to the RFP’s progress in the project overview dashboard brings visibility to the project, so you can step in confidently to rework the content without chasing down SMEs for their contribution. A method to the madness helps systematize the workflow for the entire RFP response team, allowing marketing to have plenty of time to polish the final deliverable. Silos inevitably happen with information, especially during the RFP process. Teams still using a manual approach will store historical responses in emails, online folders, and spreadsheets. These information silos become a bottleneck in the process, continually with every submission until technology is introduced as the remedy. 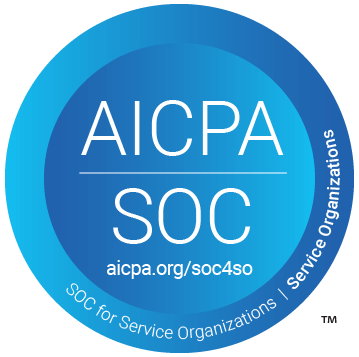 Whether you have a team of 100 or 100,000, company information is bound to change. A product company releases new features, technical specs, and updates, while a government organization maintains security and compliance standards. Sometimes company changes are so constant that teams don’t know the right information and / or where to find it. A content library that is centralized and maintained is a key piece of a smooth-operating RFP response process. A spreadsheet can only do so much when you’re responding to thousands of questions fifty times a year, right? As a marketer, you understand the importance of content audits from your experience performing them regularly on marketing content. Q&A pairs need the same level of care, with regular culling and fine-tuning of historical RFP responses. RFPIO empowers you to keep the best content accessible for your team. Automatic reminders alert you quarterly (or a cadence of your choosing) to overhaul your content library, cleaning out duplicates and outdated or weaker responses. Already, the solution offers an intelligent answer library that decreases time spent finding answers while providing the most relevant option. Even with RFPIO’s search functionality, tagging, and star ratings…quality decreases over time. Staying on top of content audits now makes the submission process much easier later when the RFP is due. How Does Content Impact an RFP Response? Your brand and messaging mean everything to you, but they are equally important to the prospect reading the RFP you submit. Even an RFP response has a story to tell. A consistent look and feel is part of that, and engaging content is the other. Arguably more than any other type of content the marketing department creates, an RFP response directly wins business. This is it—the final stage of the buyer’s decision process—and the responses they read will either sway them your direction or another’s. At the very end of an RFP project, it’s time to export responses into the branded deliverable. This is the part of the process often dreaded most by marketing teams under the gun. When five SMEs with five different font preferences contribute, you’ll have a mess on your hands and a long night ahead of you. When you can see the light at the end of the tunnel of an RFP project, with just cause you want the export process to happen uneventfully. When you’re wrangling responses in Word docs, it’s an event alright…to create a cohesive document. RFPIO supports your branding cause by aligning everything: the right high-res logo, the right color schemes, the right fonts and bullet points. Instead of spending hours putting the final touches on the deliverable, it takes minutes, freeing up your time to move on to your priority list. You have a couple of choices. You can export to the source when you have a specific format to follow (i.e. spreadsheet from the issuer). Or, you can export into a customized template with your brand’s stamp on it. RFPIO supports unlimited templates, allowing you to have a template for unsolicited proposals and a completely different one for SOWs. Consistency is key with exporting, and RFP software alleviates the concerns you used to have so you can sleep at night. Marketing plays a much bigger role in RFP response than many realize. Experienced in crafting messaging and ensuring brand consistency, marketing is the natural choice to oversee such an important deliverable. But, marketing also steers the process and purchases technology that moves the organization closer to the RFP win. Marketers will continue to broaden their reach and increasingly do more to support the sales process beyond the buff and polish of content. RFP software empowers you to step into an even bigger role as a marketer, so you can own a great RFP response process powered by innovative technology. Along the way, you’ll find increasingly effective ways to respond to RFPs to win more deals. Ready to take control of your RFP process and win more business? Schedule a demo with us to explore the possibilities with RFPIO.